It’s misty in London today, so here’s a little something to brighten your day. Or at least, your feet. You all know I have a wee penchant for animal print shoes, but this season it’s taking a leap into more colourful territory. My most recent skate shoe purchase (my Y.M.C. Liberty print pair have now been packed away until next summer) are adorned with a neon pink leopard print and I LOVE them. So practical, so comfortable, and properly cool (if I do say so myself!). They’re by Essentiel Antwerp and you can pick them up at Mania Mia on the Kings Road in London. 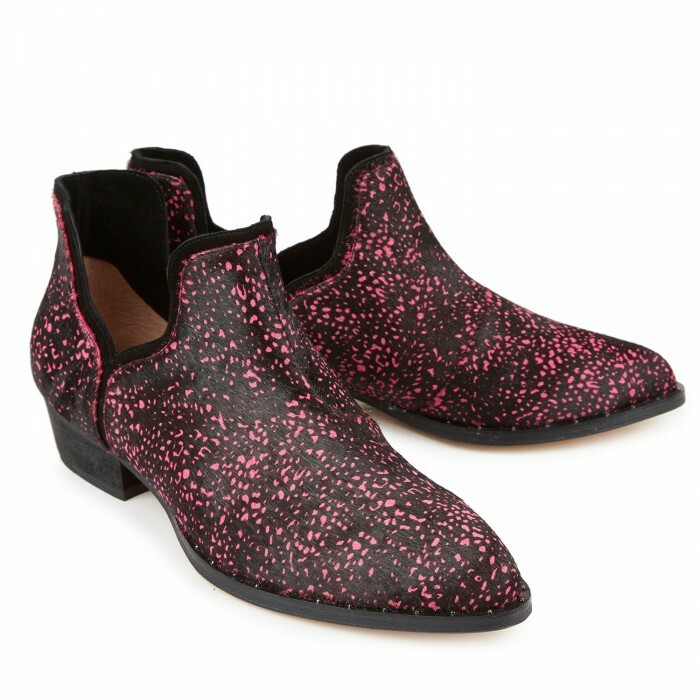 I’ve also been lusting after these pink boots by Senso since I painted them for Harvey Nichols’ Shoetopia department. 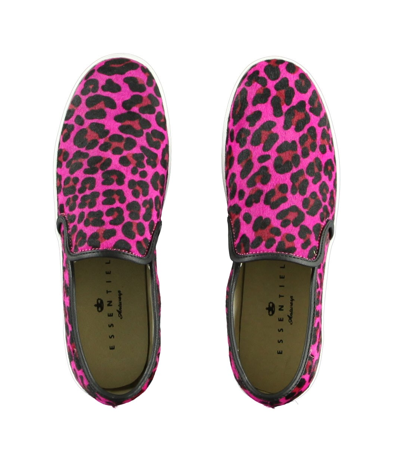 I’m not usually a fan of pink shoes, but I like how the animal print toughens the colour up and makes it less girly. 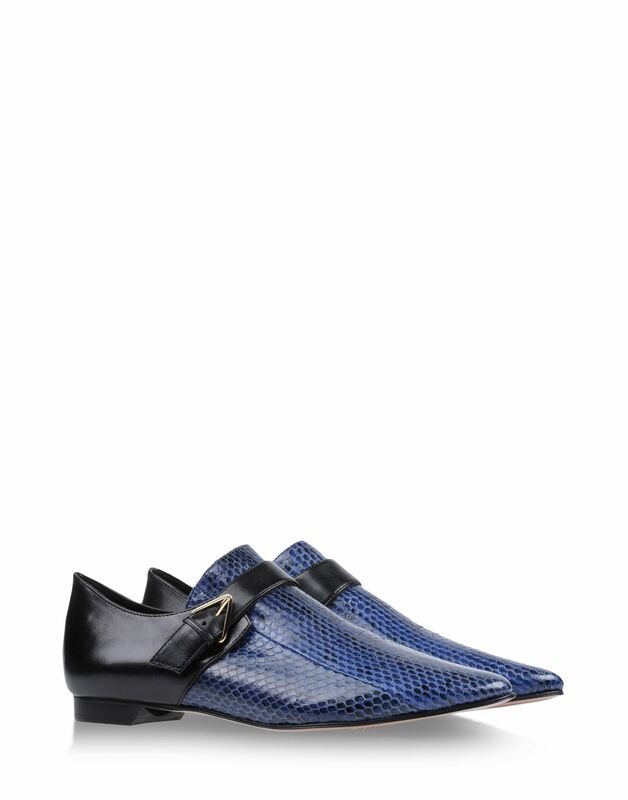 These, like the Essentiel Antwerp ones, have a ponyskin texture which always makes animal print shoes look more luxe. Here they are in their non-painted form, but you can see my illustration here. I’ve fallen hard for this amazing pair of creepers by Bimba & Lola, along with at least five other pairs of shoes on the website, and as such you’ll be seeing a lot more of this brand on here. 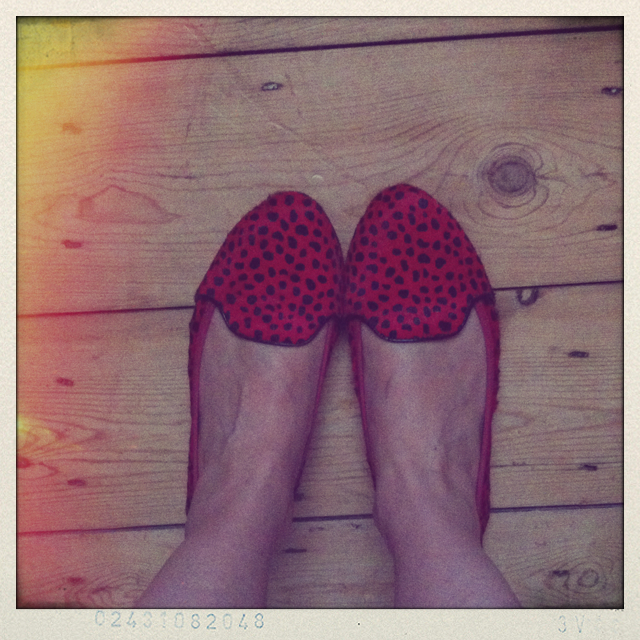 It has LOADS of brilliant, really cool flats; the sorts of shoes you can’t get out of your head once you’ve seen them! I’m also rather fond of these ballet pumps from Cocorose London, though they’re more useful to someone who actually wears heels; they fold up really small so are perfect for carrying in your handbag as emergency flats. And it’s not just leopard that’s been getting a colourful update for AW13. Snake is available in every shade under the sun at the moment but of course, most of the time it isn’t actually snake, just a print. It looks particularly lovely on ballet pumps as it gives them an edge, but my favourites have to be the Derek Lam boots below. Divine!